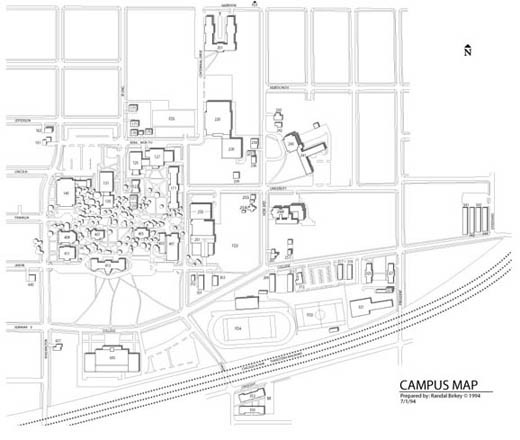 Wheaton College in Wheaton, Illinois, has recruited Randal on several occasions to create or update various campus maps. This is an example of a mechanical or vector line art version created in Adobe Illustrator. This style of map is very easy to update and make changes to because of the vector nature of Postscript, the graphics language that Adobe Illustrator uses.